There’s no denying that Ford is doing something right. The Ford 2015 F-150 pickup has been the top selling vehicle in the country for over 30 years. While others have vied for this top spot, the F-150 has risen to the top time and time again. While Ford continues to build its truck durable and work-worthy, there’s no denying that plenty of people buy the truck for other reasons, as you can see these driving around cities just as much as on a farm or job site. The luxury truck market is a thriving one, and most luxury truck buyers do little work with their trucks. 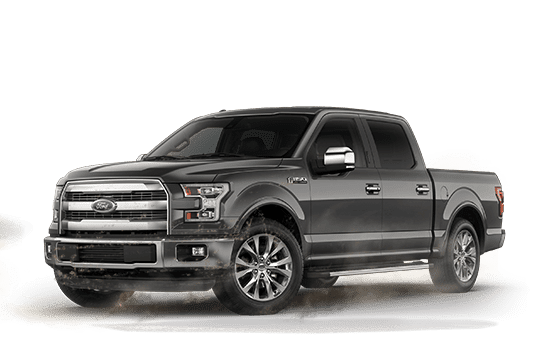 That’s the market that Ford has targeted with it’s latest models of the F-150, trucks that have plenty of luxury features and a high price tag to match: the F-150 Limited. Interestingly, there doesn’t appear to be a ceiling on the amount of money people are willing to pay for trucks. According to Ford, and based on the interest in the latest model of the F-150, there continues to be plenty of money out there in the pockets of people willing to pay for a luxury truck. To meet the needs (and wants) of that market, Ford has created its newest F-150, the Limited, with the highest price tag it has ever put on a truck. Who makes up the luxury truck market? Some buyers are those who have no need of a truck, but like the power and look of one. Others are people who will actually be driving to job sites and may use the truck as a work vehicle from time to time, but are typically in leadership roles in these fields. In fact, it’s hard to pin down the “ideal” luxury truck buyer, but the reality is that there are plenty of them out there to justify a new addition from Ford. What’s In the F-150 Limited? A look inside the F-150 Limited will show just about everything a buyer could ever want in a luxury truck, and some items a luxury buyer may not have thought of. First, buyers will notice the Mojave leather seats, offering a soft, comfortable place to sit. The truck is accented by fiddleback eucalyptus wood accidents that make it feel and look a little like a Bentley inside. The instrument cluster was built custom for the Limited, so it immediately looks and feels different. Under the hood, the Limited has Ford’s 3.5-liter EcoBoost V6 engine, providing enough power to the truck. For those who will use it for work, it is reported to be capable of towing up to 10,000 pounds. Ford insists it is not compromising the function of the truck for the luxury amenities. Everywhere on the truck the fact that it is a Limited is proudly displayed. This is a true prestige vehicle, and neighbors, coworkers and friends will know that its owner has the industry’s top pickup truck. Interestingly, the only “optional” feature in the F-150 Limited is its towing package. It appears Ford realizes its target buyer for this truck is highly unlikely to actually haul something. It’s the appearances that makes this truck so appealing, as well as the luxury and prestige it offers. The luxury pickup market has many vehicles, with over 30 percent of trucks priced above $40,000. Experts believe that the Ford F-150 will be at the top of this list, with one of the highest price tags yet seen for a luxury pickup. Ford has not yet released the price on the F-150 Limited, but estimates indicate it will likely push the $60,000 mark. Adding a towing package will, of course, increase the price beyond that. Ford claims the 2015 Limited is the most luxurious F-150 it has ever made.